The sauna as we know it today originated in Finland. The Finnish sauna was invented about two thousand years ago. The sauna is thought to have originated from pits dug into a slope. Over time the sauna evolved into a log cabin with a fireplace and high benches. Up until the end of 19th century, it was common practice to give birth in a sauna. Sauna was often the cleanliest place in the house. Since then, the sauna has evolved into an integral part of the house. Wooden Sauna cabins are documented as early as 12th century. Once the separate sauna houses became popular, they were primarily smoke saunas. There would not be a chimney leading the smoke out. The smoke was an integral part of the heating process. Before a Sauna session was to begin the smoke would be ventilated out of the Sauna. The smoke not only brought a very aromatic and pleasant scent but also the soot kept the sauna very sterile from bacteria and because of that a primary place babies were born. Until the late 19th century the smoke sauna was the only sauna to be found. But the smoke sauna had its disadvantages. For instance, the heating took quite some time as well as cleaning the soot proved troublesome. These saunas would also frequently burn. Today smoke saunas are scarce but can still be found in rural areas and in high quality hotels to be enjoyed by lucky travelers. Some still consider the smoke sauna to be the only "true" sauna. In the late 19th century another type of sauna began to evolve, a sauna with a chimney. A metal casing would cover the stones capturing the smoke from the fire below the stones and directing it through a pipe to the outside. The heating itself took a few hours but the sauna session could begin right after the fire had died out completely. The design did not allow throwing water on the rocks while the fire was burning. By 1940's most of the saunas in Finland were of this type. In the 1930's a new type of sauna heater was invented. The new type had a chimney but the fire was isolated from the rocks. It allowed the sauna to be constantly heated while splashing water on the rocks. This allowed the sauna session to begin only after about an hour of heating. This type of a sauna heater is the most popular heater found today in saunas in the Finnish countryside. The steam let out by the woodburning heater is much smoother than an electric sauna heater and the heating process has nearly evolved into a ritual. The scent of the burning wood and the crackling of the fire while enjoying the sauna is unparallel to any sauna experience. The electrical sauna heater was a major invention in the sauna culture. The heating rods would directly heat the rocks. This helps keep the sauna clean and avoid the laborious heating effort. The electric sauna heater has now conquered the Finnish sauna society and has started conquering the world !! 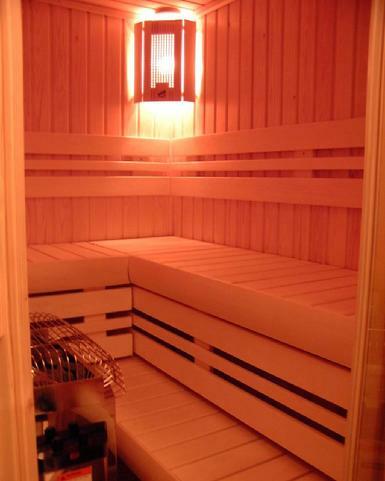 The saunas with an electric heater can be found in hotels, swimming clubs and in apartment buildings in all urban areas. Today you can find about 1.5 million saunas in a land of only 5 million Finns. The Finns have long ago noticed the health effects of sauna and slowly but surely the rest of the world is also learning about the benefits of sauna. Enjoy a properly heated sauna once and learn firsthand for yourself. Sauna bathing can be enjoyable, fulfilling and refreshing. The sauna bathing procedure is very simple with only five steps to follow. These steps are only suggestions, you are free to create your own. Please consult your physician to determine if Sauna bathing is suitable to you. 1. Start with a quick shower. 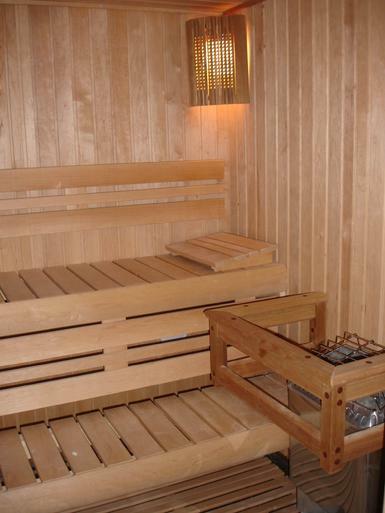 This is to keep the sauna benches clean, easier to maintain and more hygienic for you. and enjoy the massaging steam. A Sauna is a perfect place to bring friends and family, make it a social event and enjoy the calm relaxing atmosphere. 3. Then take a shower. 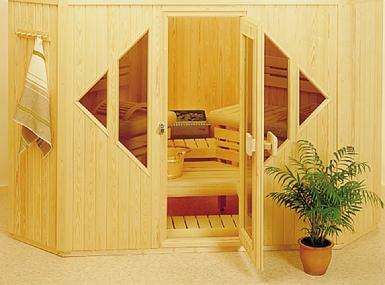 Wash off all of the perspiration and other impurities that the sauna lifts from your skin. 4. Sit and Relax. Enjoy the after sauna feeling. Drink liquids, alcohol is not recommended. Rehydrate yourself, just remember not to drink too excessively. If you feel you are ready for another session, go back and repeat steps 1-3. 5. After the Sauna sessions, let the sauna dry and then ventilate. When taken together with family, friends or a loved one, a sauna provides quality time to enjoy each other's company and to have fun. It is a well known fact that sauna bathing improves blood circulation, increases metabolism, removes impurities through the skin, and reduces muscle aches. Saunas are known to reduce stress because of the calm nature of bathing. The health benefits apply also to fitness. When taken after a workout muscles start to recuperate right away. The next workout will feel more comfortable, and less time is needed between workouts. You should never go into a sauna if you are ill. However, when a stuffy nose persists, the steam and heat may help to clear it out. A little eucalyptus aroma in the steam water will help those irritated sinuses and ease coughing. Sauna should not be used exlusively for weight loss purposes. However, increased blood circulation and perspiration burns calories equal to the amount consumed by light jogging. 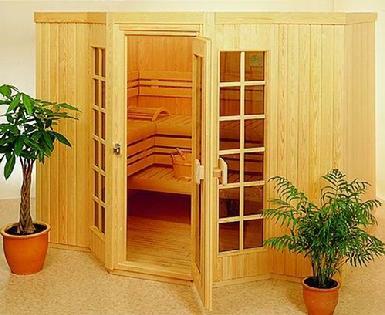 Saunas are considered luxury items that hold a great deal of value. You may get back double the amount you paid for your sauna, when selling a property with a sauna. Where can you go to get away, but go nowhere at all? In a sauna of course! Make it a habit, twice a week take a sauna in the evening before turning in - you'll have no trouble falling asleep. You can enjoy your sauna for pennies. Lets make a simple calculation. 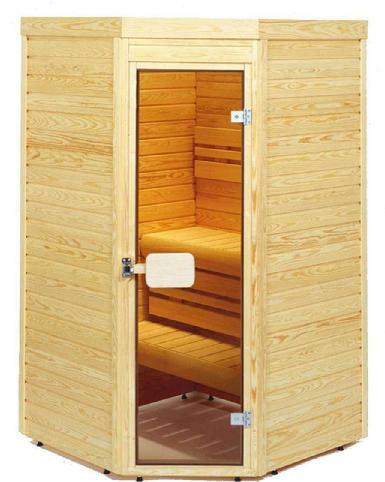 Say you have a 5'x7' sauna with a 6.0 KW heater. Lets also assume you have a typical electricity charge of $0.22/KWH. The heater heats up at full capacity for the first hour. That's 6.0KWH x $0.22 = $1,32 for the first hour! If you choose to have the heater on for an additional hour, the heater merely maintains the temperature in the sauna, and might spend about 3.0KWH of energy. That's 3.0KWH x $0.22/KWH= 66� for the second hour! Your total cost for two hours of sauna bathing is $1,32 + 66�= $1,98. So you see the operating costs won't kill you even if you live in a high electricity cost area!